Home » Music » Musician » Who Filipina singer and actress best known for her roles in musical theater? » Who Filipina singer and actress best known for her roles in musical theater? 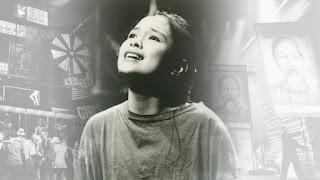 Who Filipina singer and actress best known for her roles in musical theater? At age 18, she originated the lead role of Kim in the musical Miss Saigon, first in the West End and then on Broadway, winning the Olivier and Theatre World Awards, and becoming the first Asian woman to win a Tony Award. She is the first Filipino artist to sign with an international record label (Atlantic Records in 1993). She is also the first Philippine-based artist to have received a major album release and distribution deal in the United States, and one of the best-selling Filipino artists of all time, having sold over 19 million copies of her albums worldwide. She was the first actress of Asian descent to play the roles of Éponine and Fantine in the musical Les Misérables on Broadway. She also portrayed Éponine and Fantine, respectively, in the musical's 10th and 25th anniversary concerts in London. She provided the singing voices of two official Disney Princesses: Jasmine in Aladdin (1992) and Fa Mulan in Mulan (1998). She was named a Disney Legend in 2011 for her work with The Walt Disney Company. She starred as Mei-li in the 2002 Broadway version of Flower Drum Song. She has played numerous other stage, film and TV roles in the US, the Philippines and elsewhere. She has toured widely in the title role of Cinderella, among other roles, and as a concert artist. From 2015 to 2016, she returned to Broadway in Allegiance, and from 2017 to 2018 she appeared in the Broadway revival of Once on This Island.